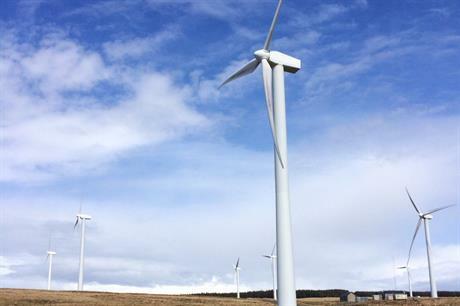 UK: In its response to the UK government's cost of energy review, utility SSE has called on the government to allow onshore wind projects' involvement in future subsidy auctions. In its official response to the review, authored by Dieter Helm and published last year, SSE said onshore wind projects would benefit from the contract for difference (CfD) scheme by stabilising revenue streams only — an effective subsidy-free CfD. The developer said it should be a top priority for the UK government, and the minister in charge of energy policy, Greg Clark. "As more renewable technologies come down the cost curve, the CfD will support generators on a revenue stabilisation only basis, rather than subsidy," SSE wrote. "As evidenced in reports by Baringa and Arup, a CfD auction for 1GW of the most efficient onshore wind projects today would only be needed on a revenue stabilisation basis; meaning no more than the average wholesale price over the liftime of that asset or the lowest technology levelised cost of energy. "SSE believes that an urgent priority of the government should be to allow onshore wind, as one of the cheapest forms of generation to compete for a CfD on this basis," it added. Elsewhere in its response to the review, SSE called for renewables to be allowed access to the capacity market — the mechanism that ensures enough power will be available at peak times. SSE added that entering to the scheme could "potentially [reduce] the level of revenue stabilisation required via the CfD". The utility also predicted a "simplification of auctions" could take place, eventually resulting in "a single CfD auction across low-carbon technologies" paving the way for wind projects to compete against the likes of nuclear. In the review, published in October, Helm found the UK's energy market prices were too high considering technology costs are falling, and the market design were too complicated and need to be simplified.